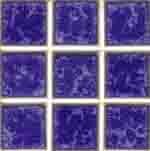 Swimming Pool and Spa tiling kits for Installers and Do-It-Yourself enthusiasts. 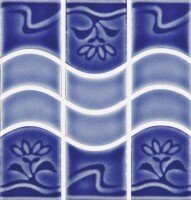 Make tile a part of your pool and spa investment! Your swimming pool or spa is a wonderful addition to your home. 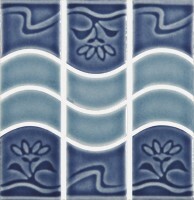 Adding a waterline tile will enhance the look of your pool or spa, as well as keep the waterline clean and algae free. 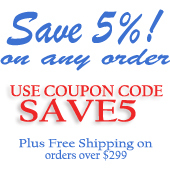 Over time, your waterline can become dark and becomes a maintenance headache! 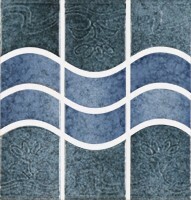 The addition of pool tile creates a clean, crisp and beautiful waterline - and best of all minimizes your maintenance! 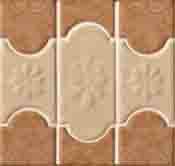 The durable tile adhesive and tile grout stretch with pool movement thus preventing grout cracks. 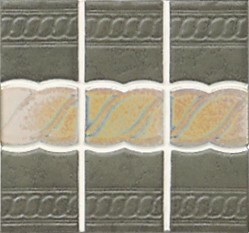 The silicone rubber grout adheres each tile to its neighbor making it virtually impossible for a tile to dislodge. It also waterproofs, resists stains, and contains a fungicide to retard mildew & algae growth, thus creating an almost maintenance free surface. In addition, the frost proof tiles and the silicones used to perform these installations can withstand temperature extremes of +350F to -50F and are unaffected by normal pool chemicals. The tiles come on square foot mesh sheets, which can be cut easily when you are ready to apply the tile. 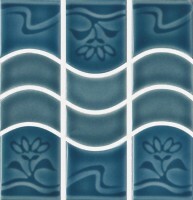 Tile beautifies and accentuates fiberglass pools and spas. 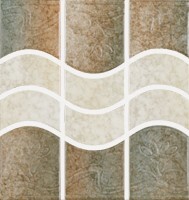 A wide selection of styles and colors are available to match any swimming pool design. 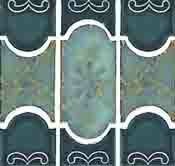 Tile and silicone grout are extremely easy to clean. It simplifies "waterline" maintenance. 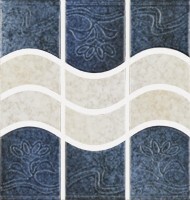 Our tiles and materials can be used in shower basins, on countertops, or as part of any DIY tile project. 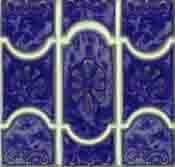 Scroll down to view all of the tiles that are available. View Before/After Pictures - see what a difference tile makes! 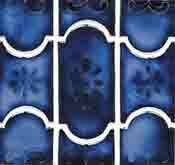 If you would like a quote on a tile kit, please e-mail us at info@poolandmarinepaint.com or visit our contact us page to fill out the online form. Please let us know the length and width of your pool or how many square feet of tile you need, what tile you are interested in purchasing, what substrate your pool is made of (fiberglass or concrete/plaster) and your zip code. 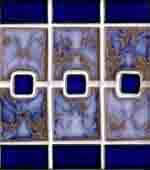 Please be aware that all tile sales are FINAL. 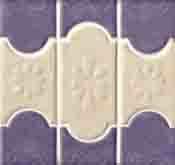 Tile Samples can be sent if requested. 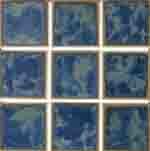 All tiles displayed on this page have been selected because they fit on fiberglass pools. 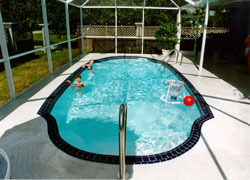 Most swimming pool tiles available elsewhere will not fit on fiberglass swimming pools. 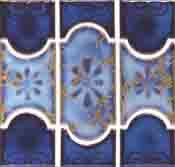 The Botanical series, with its clusters of classic-shaped tiles and embossed floral patterns are sure to add an element of grace to any pool or spa. 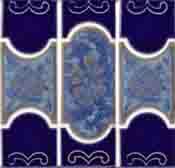 Each tile measures: 6" high x 2" wide. 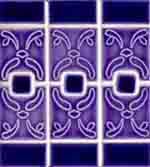 Each tile measures: 2" x 2"
Each tile measures 1" x 1"